Micronesia is a subregion of Oceania, composed of thousands of small islands in the western Pacific Ocean. It is divided politically among several sovereign countries. One of these is the Federated States of Micronesia (FSM) which is often called "Micronesia" for short and is not to be confused with the overall region. The Federated States of Micronesia are grouped into four states, which are Yap, Chuuk, Pohnpei, and Kosrae. Located in the western Pacific Basin, Micronesia is annually threatened by violent storms and each year experiences three to five typhoons, Catholic Relief Services is located in Yap, which is drier than other states of the FSM, so droughts and limited water storage capacities impact residents’ water and food supplies. 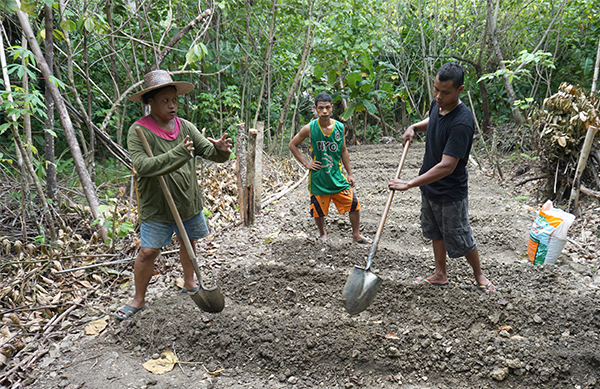 CRS supports communities in Yap, FSM, to effectively prepare and respond to natural disasters. And with your help, CRS also helps communities make informed decisions in their livelihood preferences. By supporting CRS, you also help the local leaders and community members effectively prepare and respond to natural disasters, adopt typhoon-resilient livelihood strategies and good hygiene practices. In 2017, CRS opened an office in Yap, Federated States of Micronesia, to support the Government of the State of Yap in its efforts to protect, as much as possible, its people, state infrastructure and the economy from the effects of disasters of all kinds. CRS launched the Adaptive Community Transformation (ACT) project on Yap to increase the capacity of vulnerable communities to prepare for and recover from frequent typhoons and droughts.